RUSH: President Trump just wound up his remarks, his speech to the Republicans at their retreat. It’s at White Sulphur Springs, West Virginia, The Greenbrier. You ever been to The Greenbrier? Well, I of course have. What a wonderful place, great golf courses. Sam Snead, he was in residence as the pro there for a while. At any rate — and our staff is diligently working now to put together sound bites, but there was one thing — this is another See, I Told You So. Paraphrasing, the president said to Republicans, “I just wanted to throw out a couple of numbers to see if the Democrats were serious about negotiating. Clearly they weren’t.” He’s talking about the DACA deal! I told everybody — I mean, I love this — the State of the Union, I love this, because everybody was worried that Trump had caved. Remember? And you might have been one of them when he announced amnesty for 1.8 DREAMer kids and so forth. And, meanwhile, there were people on our side of the aisle prepared to think that Trump had gone off the reservation, and this was it, and Trump was gonna blow it. And they were all upset that Trump was gonna legalize a bunch of illegals and amnetize ’em and I always knew. I don’t mean to be bragging here. It ain’t bragging if you can do it. And Trump admits to the Republicans in their retreat today, “I just wanted to throw out a couple numbers to see if the Democrats were serious, and clearly they weren’t.” There is nobody in the media who understands Donald Trump better than I do. Nobody. 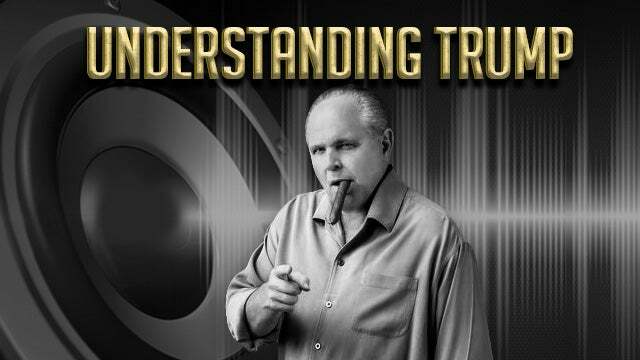 RUSH: We have the audio sound bites from the president’s comments at the Republican retreat after the GOP train rammed a dump truck yesterday. They finally made to The Greenbrier in buses. So here’s what I said back on January 26th when Trump proposed his amnesty for the DREAMers. RUSH ARCHIVE: Here’s an alternative theory, based on the fact that I don’t think Trump’s caved. Have you noticed the Democrats are rejecting this? Donald Trump or somebody in there knew that this deal would be rejected. I believe it is possible that this whole deal — you might call it a trick; you might call it a grand strategy; but I think it was offered knowing that the Democrats would reject this, after which what happens? RUSH: Okay. So that was me six days ago. Here’s the president mere moments ago at The Greenbrier in White Sulphur Springs, West Virginia, at the House and Senate Republican retreat. 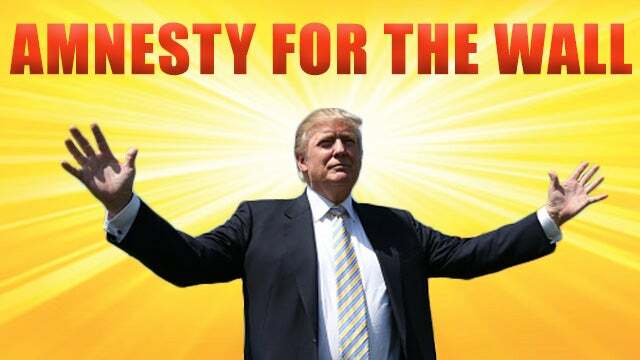 THE PRESIDENT: If the Democrats choose to filibuster a framework that includes a generous path to citizenship or something that is not fair, we are not gonna approve it. We’re just not gonna approve it. So we’ll either have something that’s fair and equitable and good and secure, or we’re gonna have nothing at all. We will be demonstrating that we are very, very serious. One of the reasons I gave a number that I thought was a very, very generous number was because I wanted to see whether or not they were interested in approving that. Because if they don’t approve something within that sphere that means, very simply, that they’re not looking to approve it at all. They want to use it for an election issue, but it’s now an election issue that will go to our benefit, not their benefit. RUSH: And there you have it. Exactly what I theorized. I should also point out, remember when Trump did this, there were a lot of people on our side who just started tearing into Trump, as a traitor, as a turncoat. You remember that? That helped too. That helped. That further positions Trump as a centrist thinking about the kids and the DREAMers. It all worked out really well. I think Trump is actually many moves on the chessboard ahead of the Democrats and the media on this. I think he’s got ’em boxed in, if you want to know the truth.